As a personal rule of thumb, I do not write on the inner news of the Church – or at least not often. I have been in attendance this week at the All American Council, the national assembly of the Orthodox Church in America. One of the central tasks before us was the election of a new Metropolitan (the Bishop who serves as the primate of our Orthodox Church in America). Eleven days ago I was present in Dallas, TX, at the Cathedral for my diocese, witnessing the consecration of an Auxiliary Bishop for the South. I had come to know the newly ordained Bishop over the past several months (both before and after his consecration) and was deeply grateful for his election in the South. Today, I was humbled to witness his election as Metropolitan of the OCA, in one of the most moving events I have been a part of in my short Orthodox life. He is a monastic, formerly the Abbot of the Monastery of St. John of San Francisco and Shaghai in California. He served his novitiate (formative years) as a monk at the Monastery of Valaam in northern Russia. I see his election as a very positive grace in our Orthodox life in America, and pray God’s blessing for him in this new work. For a more detailed account, read here. “Axios!” (“He is worthy!”) is the Greek greeting used in the Church as a positive affirmation (of joy, I might add) at the election of a Bishop, or an ordination, or on a number of occasions. It’s use is quite ancient. At the announcement of Met. Jonah’s election, a loud roar of “Axios!” rose from the Assembly. Axios. He comes from my diocese and I’ve had the pleasure of meeting him (briefly) and my priest is very good friends with him. In fact, he was at his Ordination last weekend. Well, I was really looking forward to having him in the South, but I’m pleased he’s now metropolitan. Axios! Axios! Praise God for hearing the prayers of his people. Met. Jonah’s clear understanding of the mission of the church and of the episcopacy bodes well for us all. Axios, Axios, Axios! May the Lord strengthen him for the road ahead. I read the news on OCA and was surprised that the new metropolitan was the bishop you just ordained. May God bless him. It sounds like he is stepping into a delicate situation. I am sure that with Gods help he will navigate the OCA through these challenges. Axios! Several months ago, I listened to a five part recording of the now Met. Jonah and was amazed at the persistance and dedication that he had in becoming Orthodox, in what seemed to be against many major obstacles. When the Met. became a Bishop my first thought was that “this is exactly what the OCA needs, a fresh but Ancient perspective to get priorities straight in at least one part of the country”. Now that Met. Jonah was choosen as the Met., I feel some hope for the OCA and it’s healing and the possibility of more unity between the Orthodox churches in America. I know that this is a vision that he has and this makes me feel hopeful. I believe that Met. Jonah will bring the same persistance and dedication to his current office that he had as a convert. It is not difficult to believe that he is a Christ centered man who will bring many good things to the Church. May God bless Met. Jonah and grant him many years. Indeed, may God grant (Father, Archimandrite, Bishop-elect, and now) Metropolitan Jonah Paffhausen many, many years! Now the Diocese of the South needs another new Bishop. Father, bless! I share your joy at Met. Jonah’s election. Met. Jonah’s writing can be found here. His address tonight at the Banquet was applauded with a standing ovation of considerable length, with constant shouts of “Axios!” rising from crowd. Many of us came to this meeting of the AAC with some fear and trepidation, concerned at how we would meet the challenge of the past several years (in which a financial scandal revealed weakesses both in some trusted individuals, but also in some of the structures of our young (in Orthodox terms) Church). Those issues were addressed, and not without expressions of pain. But there was considerable support for the changes that have been made (new staff, new controls, etc.) and now an overwhelming joy at the election of the new Metropolitan. It is hard to describe how different the atmosphere of the Council change from its beginning to its end. Met. Jonah radiates a quiet confidence and centeredness in Christ that is certainly the fruit of his monastic life and the grace of the Spirit. The action of the Council and Synod in his election were utterly removed from any sense of the “political.” The sense of things, including among senior, seasoned priests, was that this was an act of faith and trust in God and an answer to prayer. Many of the Metropolitan’s writings can be found on the web site of the Monastery of St. John of Shanghai and San Francisco (google it). I heartily commend them to you as of the highest quality. 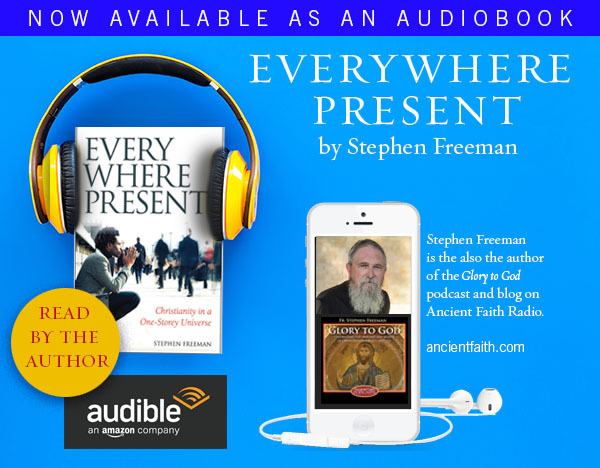 Ancient Faith Radio is also carrying podcasts from the Council. Any of the talks by Met. Jonah are well worth the listening (and some other stuff as well). 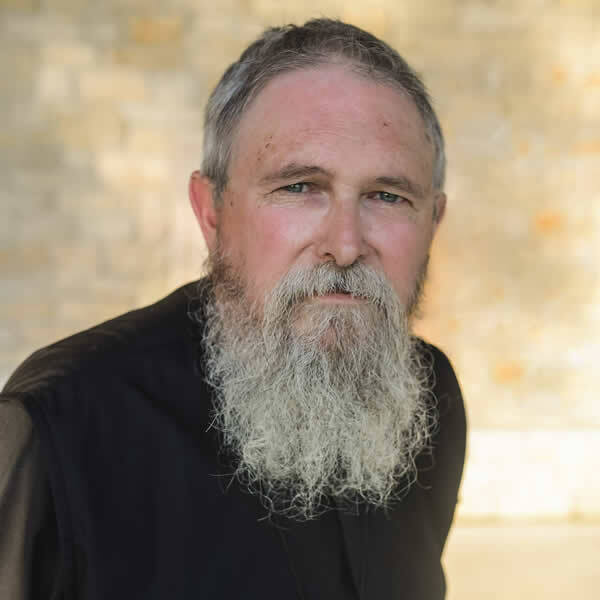 We in the Diocese of the West were saddened to bid farewell to our Abbot Jonah, and now overjoyed to “have him back” as Metropolitan. Eis Polla Eti Despota! “One Archetype remains to be discussed, which is of special significance for the act of creation. It is variously known as the Night Journey, or the Death-and-Rebirth motif; but one might as well call it the meeting of the Tragic and Trivial Planes. It appears in many guises; its basic pattern can be roughly described as follows. Under the effect of some overwhelming experience, the hero is made to realise the shallowness of his life, the futility and frivolity of the daily pursuits of man in the trivial routines of existence. This realisation may come to him as a sudden shock caused by some catastrophic event, or as the cumulative effect of a slow inner development, or through the trigger action of some apparently banal experience which assumes an unexpected significance. The hero then suffers a crisis that involves the very foundations of his being; he embarks on the Night Journey, is suddenly transferred to the Tragic Plane– from which he emerges purified, enriched by new insight, regenerated on a higher level of integration. The symbolic expressions of this pattern are as old as humanity. The crisis or Night Journey may take the form of a visit to the underworld (Orpheus, Odysseus in mythology),; or the hero is cast to teh bottom of a well (Joseph), buried in a grave (Jesus), swallowed by a fish (Jonah);or he retires alone into the desert, as Buddha, Mahomet, Christ and other prophets and founders of religions did at the crucial turn in their lives. I went to the bottoms of the mountains; the earth with her bars was about me forever. The journey always represents a plunge downward and backward to the sources and tragic undercurrents of existence, into the fluid magma, of which the Trivial Plane of everyday life is merely the thin crust. In most tribal societies, the plunge is symbolically enacted in the initiation-rites which precede the turning points in the life of the individual such as puberty and marriage. He is made to undertake a minor Night Journey; segregated from the community, he must fast, endure physical hardships and various ordeals, so that he may experience the essential solitude of man, and establish contact with the Tragic Plane. A similar purpose is served by the symbolic drowning and rebirth of baptism; the institution of periods of retreat found in most religions; in fasts and other purification rituals; in the initiation ceremonies of religious or masonic orders, even of university societies. Illumination must be proceeded by the ordeals of incubation. Of course, Koestler equates ‘mother church’ to ‘mother earth’ or ‘mother ocean’ — the baptismal font is only a ‘womb’ the ‘immaculatus divini fontis uterus’ and the maternal aspect of the Church is only impersonated by the Virgin. He calls it the ‘craving for the womb’ for the dissolution of the self in a lost, vegitative oness.’ Mythology apparently, is full of such symbols of the collective unconscious. What we have in Christ is far different to what Koestler is proposing. Only, I wouldn’t call it a Cosmic Christ for to do so implies that there are other Christs, offshore and false, and this is in fact, what the world would have us believe. I am over joyed that right when my wife and I are about to become catecumens in the Orthodox Church, the Lord has restored right government and charismatic vision to the Church, leadership we can trust and mission we can be proud of! There can be no doubt in my heart now as to the truth of Orthodoxy as the message of the Metropolitan resonates with my own heart. There is no longer anything holding us back. Glory to God! Shouts of “Axios” and my prayers from the Antipodes. I had the good fortune of attending a Vespers in his honor on Saturday evening and hearing a few pearls from his lips. You are truly blessed to have him. I was blessed to be at this Vespers as well; I am very hopeful for the OCA – may this signal a new beginning!